A remarkable advancement in dental science, implants are permanent restorations anchored in the jaw & used to replace missing teeth. They can replace a single missing tooth or restore an entire segment of missing teeth. Implants function as the ‘root’ of the tooth and in doing so, they serve to maintain the bone in the area that would normally recede over time. 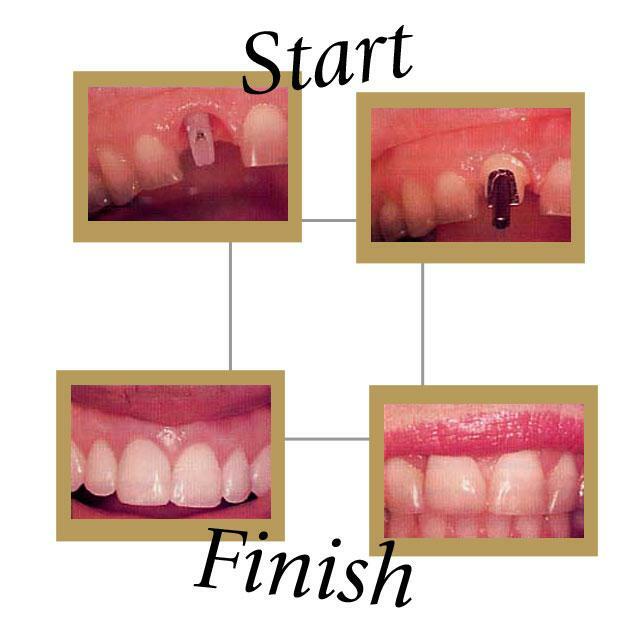 Once the implant is placed, it is allowed to integrate with the bone for a period of time. At this point, a crown can be placed and the implant & crown look and function just like the tooth or teeth they replaced. They are an attractive & time-tested alternative to traditional removable appliances (dentures) providing greater stability and security as well as giving the patient the feeling of their own teeth.